OAKLAND, Calif. (KGO) -- Oakland A's executive vice president Billy Beane is among the top excessive water users in Contra Costa and Alameda counties. ABC7 News requested water usage records from East Bay Municipal Utilities District and the agency handed the information over Thursday night. EBMUD users are allowed around 1,000 gallons of water a day. That's the ordinance. Here's how the top water users stack up: In a 60-day period, former Chevron vice chairman George Kirkland of Danville used 12,600 gallons of water a day. Next is venture capital executive Mark Pine of Alamo who used around 8,000 gallons a day. 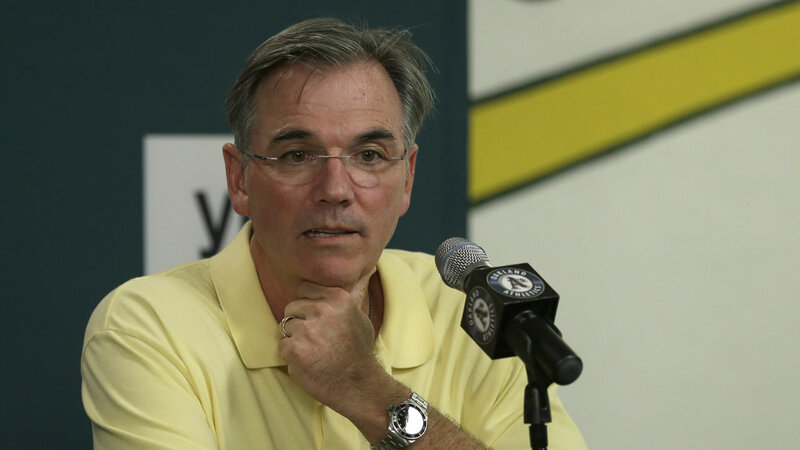 Billy Beane used around 5,900 gallons of water a day at his Danville home. Beane told the San Jose Mercury news he has tried to reduce his water use, but says he has a large landscaped yard. One of the homeowners on the list explained to ABC7 News how he ended up using so much water. Dane Bigham blames a water leak on his Walnut Creek property that went undiscovered for a month. EBMUD records show Bigham used more than 5,700 gallons a day. After he found the leak, his gardener fixed it immediately. It wasn't until he received his monthly bill that he realized how much water went wasted. "I had found a leak but I thought it was going to be a $500, or $700 bill or something like that," Bigham said. That bill was actually $4,000. Bigham says he called EBMUD immediately to explain the situation. EBMUD is holding a news conference Friday to discuss these usage records. To learn how much water your city is required to cut back, click here. For EBMUD customers billing questions about leaks and high bills click here. For water rebate information from Bay Area water suppliers, click here. You'll find tips about how to conserve water here and information on how to to report water wasters #WhereYouLive, here.